Crime film’s about drug dealers have been done to death, but have they ever been pushed this far? The film follows Frank, a well known drug dealer, who has a day to find the cash to stop dangerous people coming after him. 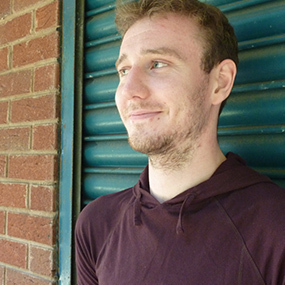 Throughout the day he interacts with his girlfriend, best friend and others in an attempt to save his life. Pusher is a Danish crime film, and by the story outline it is certainly nothing remarkable, however Nicolas Winding Refn, now well known for extreme violence and highly stylised film making, uses the format to explore more interesting territory by using a handheld camera which appears to document real life happenings, while providing an emphasis on character. The protagonist Frank, played confidently by Kim Bodnia, is like so many action film characters: he seems cut off from almost all serious emotion. The most passion we see from him is when he is hilariously competing with his best friend, Tonny, about how macho they both are. Despite this, Refn opens Frank up by revealing every part of his compartmentalised life. We see him juggling his major drug deal problems, joking with friends, and struggling through a relationship. Frank doesn’t acknowledge his life threatening situation to anyone which cleverly helps the audience associate more with his internalised problems. The characters only get more interesting from here: Laura Drasbæk sublimely plays Vic who is a prostitute or ‘champagne girl.’ Vic’s motivations are fantastically complex for a side character: she is entirely understandable and her position as an emotionally open book is a great device to contradict Frank. Refn’s writing plays the serious crime elements up against kitchen sink drama using Vic’s unhealthy dog as a repetitive conversation piece while the understatedly calm drug dealer, Milo, takes time out of his dangerous threatening chat to ask Frank to help him move a refrigerator. That’s not to say this is purely a drama, those serious crime elements include excessive use of vulgar language, extreme violence and a seedy urban world. 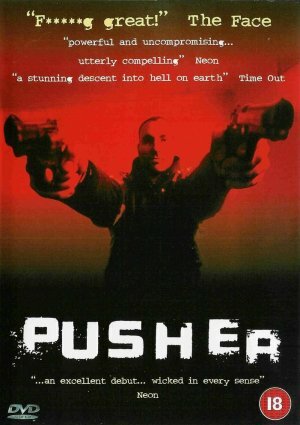 Pusher is a fresh style of crime film, mixing expected crime themes with more domestic problems and well rounded characters.